Fall yoga schedule is here! I hope everyone enjoyed a fantastic summer! While our carefree days are winding down, I’m really excited for the Fall schedule. 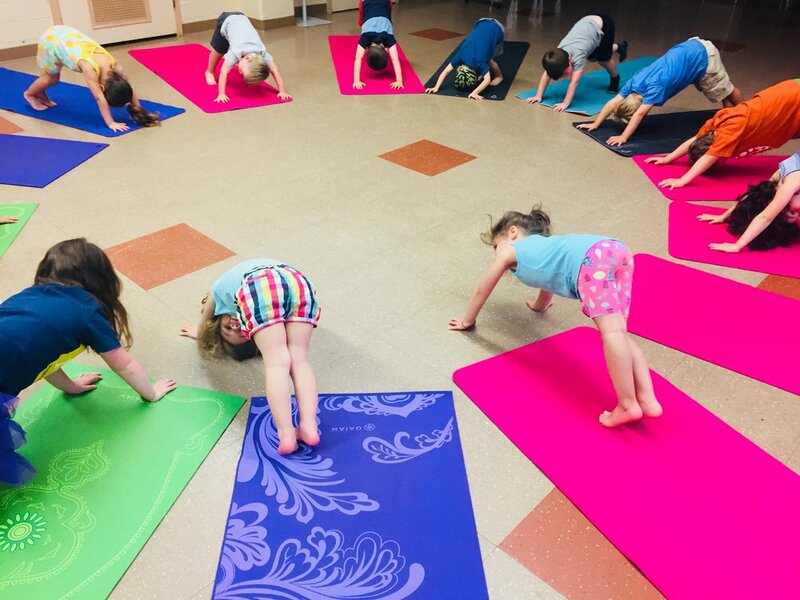 We’ve got you covered with yoga for your preschooler, school-aged kiddos, teens, athletes, and for you. This week kicks off classes at Victor Rec (Thursdays 10am, ages 3-5) and Perinton Rec (Fridays 10am, ages 3-5). And next week, we're back in full swing! Happy back to school (deep breaths!) and I look forward to seeing you soon. Healthy, fun, and engaging classes for little ones! Classes are session-based and can be found at town Rec Centers or as part of your child's school program. -Webster Rec @ 10am. 9/10-10/15 (6 weeks). Enroll here. -Spencerport / Ogden Rec @ 10am. 9/11-10/16 (6 weeks). Enroll here. See page 13. -Keshet Preschool (school program) @ 1:15pm. Classes begin in October! -Kids First Brighton (school program). 9/19-10/24 (6 weeks). Toddler 2: Enroll here. Preschool & PreK: Enroll here. -Victor Rec @ 10am. 9/6-10/25 (7 week session). Enroll here. -Perinton Rec @ 10am. 9/7-10/26 (7 week session). Enroll here. A great outlet for school aged kids. Fun studio classes, great exercise, and a way to unplug and reset. Simply buy your child's pass and enroll as your schedule allows (not session based). -Ages 5-12 @ 6pm in Fairport. Enroll here. -Ages 5-12 @ 11am in Fairport. Enroll here. Great for flexibility, focus, injury prevention, breath work, post-game stretching and to gear up for the week ahead. Held at Next Level Strength & Conditioning (Fairport). -Ages 8-13 @ 4pm in Fairport. Enroll here. -Ages 14+, collegiate and adult @ 5pm in Fairport. Enroll here. Amazing classes led by well-loved instructors from our community. Come solo or enjoy our BOGO pass if your child takes the kids class (same time as adult, separate classes). A great way to end your day! Adult class @ 6pm in Fairport. Enroll here. Ages 5-12 @ 6:00 - 8:00pm in Fairport. Enroll here. Join us for a fun morning of yoga and private shopping! Yoga will run from 9:30 to 10:15am (geared for ages 6+). Afterwards, enjoy private shopping, healthy snacks, discounts, raffles and special time with your kids. Geared for ages 6+ @ 9:30am at Athleta, Eastview Mall. Please RSVP here.